The Architectural Woodwork Institute (AWI) is a nonprofit trade association founded in 1953. Today, AWI represents nearly 4,000 members consisting of architectural woodworkers, suppliers, design professionals, and students from around the world. AWI has been the voice of the woodworking industry for more than half a century. Members, the industry and the public rely on AWI to keep them informed, provide business solutions and set industry standards. NHLA’s Mission is to serve NHLA Members engaged in the commerce of North American Hardwood Lumber Industry by: maintaining order, structure, rules, and ethics in the changing global hardwood marketplace; providing member services unique to the hardwood lumber industry; driving collaboration across the hardwood industry to promote demand for North American hardwood lumber and advocate the interest of the hardwood community in public/private policy issues; and building positive relationships within the global hardwood community. IHLA is a relevant, member-driven trade association, whose members share a passion for creating the world’s finest hardwood products, and a determination to maintain the sustainable productivity of our nation’s forest resources. IHLA is a non-profit trade organization comprised of sawmills, wholesale brokers, equipment vendors, secondary manufacturers, loggers, landowners and others who recognize the benefits of working together on issues and projects for the good of the hardwood industry. Today, IHLA has members in 27 states and 3 Canadian provinces. Unique to IHLA, however, is a rich tradition of volunteerism, one that provides powerful momentum and gets things done. Whether it’s championing a cause at the State Capitol or in Washington, pooling resources to provide value on insurance or joining forces for philanthropic causes, our members take pride in their ability to get results for the good of the entire industry. The purpose of KFIA is to promote the economic welfare and interests of Kentucky’s wood industry. The Association has a wide range of membership and is designed to assist primary and secondary wood industry, landowners, loggers, and service industries. Conservation, sustaining quality forest resources for the future and working with agencies and programs to promote the future of the industry while protecting all forest users are the major goals of KFIA. The Federation of the National Association of Home Builders (NAHB) exists to represent the home building industry by serving its members and affiliated state and local builders associations. The NAHB members, who are involved in all aspects of a diversified building industry, create jobs for millions of people and contribute significantly to the economic activity of their community, the nation and the world. Recognize housing and housing providers as the strength of America and create an environment where every American has the opportunity for a safe, decent and affordable home in a suitable living environment provided by an entrepreneurial and competitive industry. BDASI has supported the building industry in Southern Indiana for more than 50 years. Our organization includes a diverse range of architects, home builders, general contractors, interior designers, landscape architects, real estate agents and many other associate members active in all areas of the building industry. If you are interested in a custom home or making updates to your existing home BDASI has over 100 Builder Members and more than 500 Associate members to assist you with your project. For more information on our skilled craftsmen and artisians please see our consumer information button on the navigation bar. 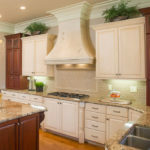 The American Hardwood Information Center is the authoritative resource for consumers and professionals seeking information about American Hardwoods. 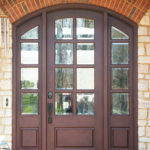 With the goal of promoting the use of American Hardwood products ranging from flooring, cabinetry and furniture, to millwork and building materials in both residential and commercial applications, the Center offers advice from industry experts on design trends, care and maintenance, installation, finishing and professional specifying.